When you operate a business, you want to surround yourself with good people. Some of those people will be active on a day–to-day basis. Others will help you on an as needed basis and your attorney should be at or near the top of this group. You may not need your attorney often, but you will be glad that he or she is there to give you any legal guidance that you may need. Here are a few areas where a good corporate lawyer is vital. Your attorney can guide you through the many formalities that are needed to start your business properly. This will give you the most legal protection possible. You must prepare and file the required documents with the state. There are also other documents that you should have that do not necessarily have to be filed with the state. These include the minutes of your organizational meeting and the corporate by-laws. Your attorney can assist you in acquiring your Employer Identification Number as well as publishing any required legal notice that your business is incorporating. There may be certain business or professional licenses that need to be obtained. This may be the point where you take the formal steps to protect your tradename either on a local or national basis. You will want to make sure that all of the necessary formalities are met in order that your status as an official corporation cannot be challenged. The last thing your business needs is to have to go to court. Sometimes you will have no choice. Whether you are bringing a suit or being sued, a court is often the last resort to resolving a dispute. In this situation, you will most certainly need the assistance of your lawyer. Many courts require a corporation to be represented by an attorney and do not allow the corporation, through one of its members, to represent itself. Just as you would not try to repair your own car if you are not a mechanic, you should not attempt to represent yourself in court. The rules of court are very complex. There is a certain way to introduce your evidence and to present your case. The legal research that can be so important should be left to someone with experience. Many courts require formal mediation prior to your case being heard and there is an art to presenting your case to a mediator. A court case can be something as simple as a collection matter or a complicated situation that will determine the future of your business. You should always make sure that you have a good attorney with litigation experience at your side. There are many documents that are very important to your business. Some may seem and actually are fairly routine. Others may have long lasting consequences if not reviewed or prepared properly. Important documents should always be reviewed by your attorney before signing. A single word or a single phrase may change the meaning of a contractual provision that could have a profound effect. 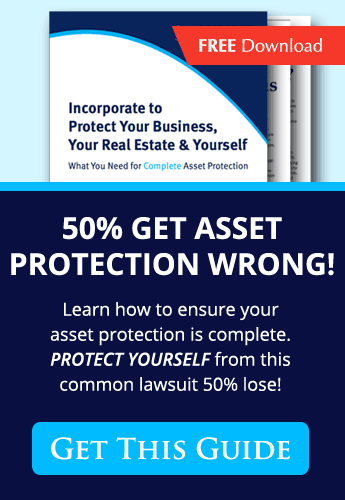 There are often documents that need to be prepared to protect your business. For example, many entities have a standard confidentiality agreement that is signed by employees and business partners alike to protect your most valuable information and trade secrets. Many companies have an employment agreement with their workers and this document needs to be prepared with precision. The purpose of these documents is to give a clear picture of a situation in the hope that they will help to avoid future controversies and disputes. When you are given a document that is prepared by someone else, there is always the possibility that the document contains terms and conditions that are more favorable to the other party. Sometimes these terms are obvious and sometimes they are extremely subtle. You need your attorney to protect you and to ensure that your interests are being met. There are times when you need to consult an attorney for legal advice. You may need to terminate an employee and want to know if doing so will present any legal problems. Your business may be subject to various administrative or governmental regulations. A bit of advice from your lawyer can prevent you from running afoul of those rules. You might want to bring a new partner or investor into your company. Before those discussions go too far, getting some advice on how to approach this potential new arrangement is crucial. In the event you are having a dispute with someone and want to know if going to court is a good option, a few minutes with your attorney should give you a good idea as to where you stand and your chances of a successful outcome. Your attorney may need to do nothing in these situations other than to listen and give you an opinion. There are certain matters about which your company needs to keep up to date. Your registration with the state is usually an annual one. Failure to register and pay the applicable filing fee could result in your corporation being dissolved by the state. In the unfortunate event that this happens, it is as if there is no corporation at all. The members could then be subject to personal liability for claims against the business. Similarly, you and your attorney should keep up with the annual meeting and written minutes to reflect that the meeting took place as well as what happened at the meeting. It may seem that a small company should not need an annual meeting with minutes but the need to keep your company official overrides everything. There are times that a law may change or a new case is decided which might have an impact on your business or the documents that you have in place. For example, over the years, the non-compete laws have changed significantly. A document that was compliant years ago might not be effective today and your attorney’s knowledge of these laws is invaluable. There are occasions when your need for an attorney is obvious. There are other times when the need is not so obvious or it comes about unexpectedly. It is always comforting to know that whenever one of those events arises, you can call your attorney. There are many areas where a well-qualified business attorney can not only assist your business, but ensure that all of the advantages of being a viable corporation continue. To speak with an experienced Reno business attorney at The Sutton Law Group, call 775-629-5273.